If you aren’t familiar with this French (and Italian) game, let’s learn more about it. 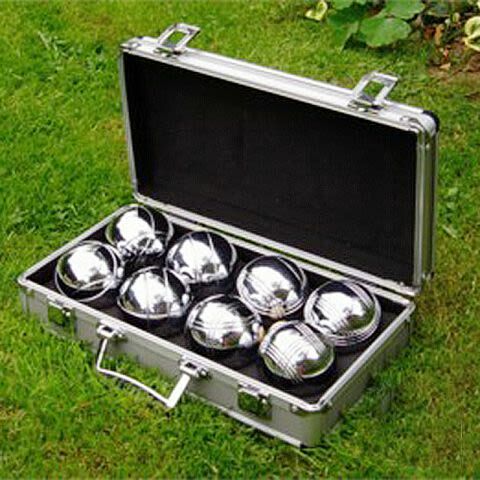 Boules refers to the different kinds of games that you can play using the given balls. The goal is to roll or throw the balls as close as you can to the target ball. This can provide hours of playtime for both kids and adults. Find your competitive side by playing against friends and family. Form teams to crown the definitive Boules Champion! You’ll find that this game is better with food and drinks. Play, or spectate and cheer - it’s fun either way. This game is fun for all occasions, and is best played in a wide open space. It is great for corporate events, too. See colleagues unwind and have some fun by throwing metallic balls on the ground! It’ll be great to de-stress before going back to work. Whatever the occasion is, this game will bring life to your party. You can order our Boules game with a bouncy castle, or you can order a minimum of three total garden games (if you aren’t hiring a bouncy castle). Each garden game comes at just £15. For more information about ordering, call or email us. You can also reach us using this Contact form.